I have always been one to go silent when things upset me or worse, hurt me. I always found solace in my silence as it was a way not to say things I would later regret. Although it doesn’t always work out that way. I will say that with the years I have grown to adapt to the concept more often. It’s not for a lack of wanting to communicate but I am learning and have learned to choose my battles. If having a chronic illness has taught me anything it’s to choose what you use your energy on. At times it is not worth your energy, when you know things will never change. But is it a defense? Am I hiding from what I feel by hiding behind silence? This morning this quote couldn’t have been more spot on. 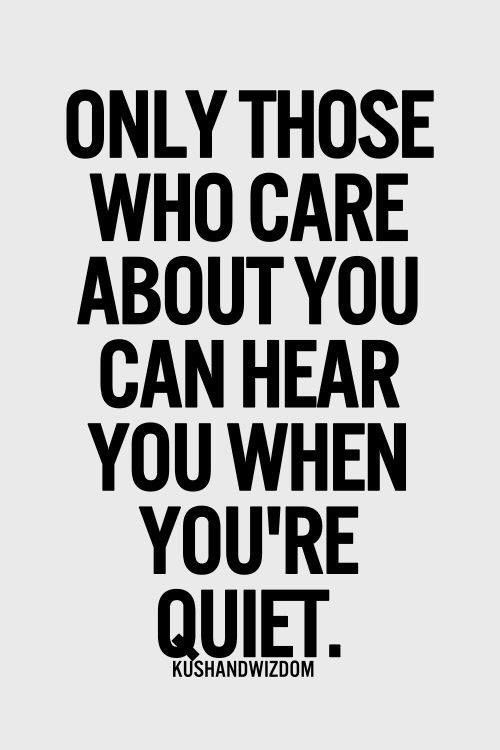 Thank you to my nearest and dearest for always hearing my silence!! ← A little laugh for my spoonies! I just had a discussion with my five-year-old about this. I explained that I had to be quiet for a little while because silence blends into the background eventually … but angry words, though sometimes forgiven, can never be forgotten. It’s so very true. Once words are said, they can never be taken back. Great concept to teach them early as some never learn it! Thank you for sharing! I totally feel you on this.I was battling this very thought this morning. Glad I am not the only one that feels this way. Hope you are doing well! I am! Thank you for sharing. You are never alone.